Let's change the point of view... for a complete new experience! Sportyaking… A paddle with 2 blades? 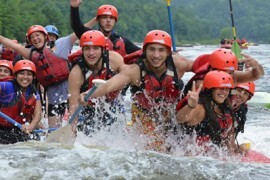 Sportyaking is a sport in between rafting in kayak. 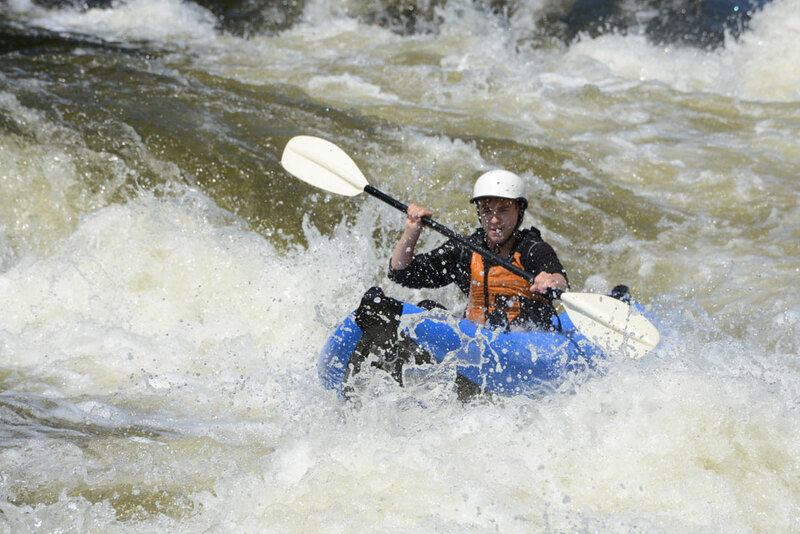 Sportyacks are inflatable kayaks that can accommodate one or two passengers and are specially made for white water river running. 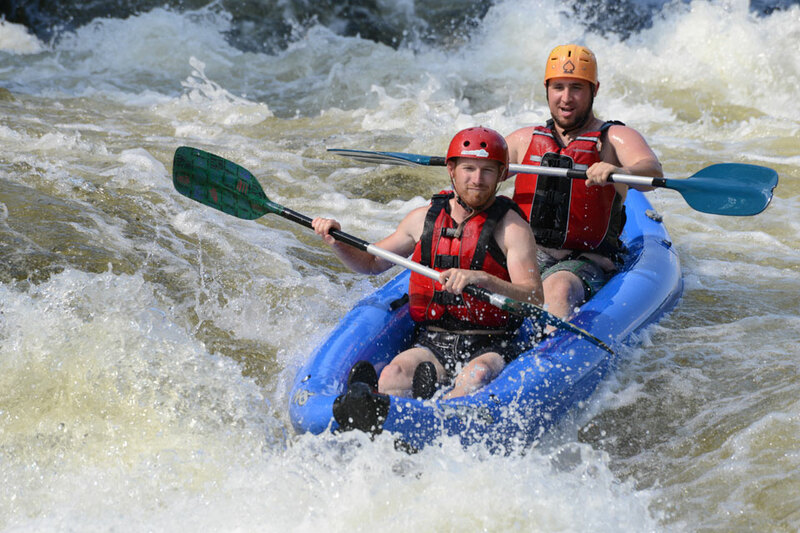 For the rafting enthusiast in search of new challenges, sportyaking offers a most exciting excursion down the Rouge river. 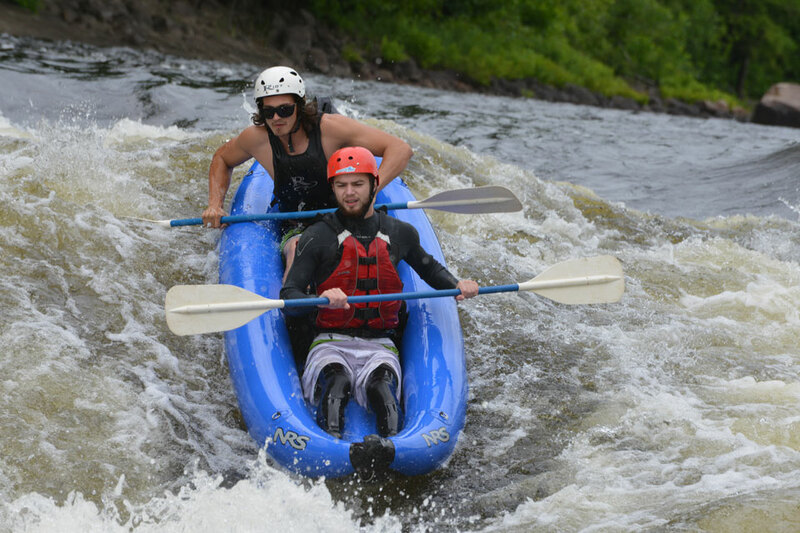 Under the supervision of an experienced kayaker, you will guide your own boat down the best white water run in Quebec. 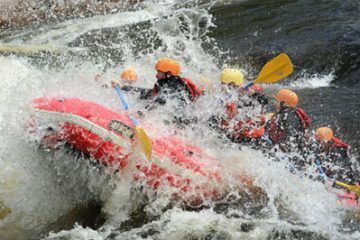 You must have done rafting on the Rouge River before, and a good health condition is required too. Anybody under drug or alcohol influence will not be allowed to take part to the excursion and will not be reimbursed or compensated of any kind. Our guides are really serious about this point. 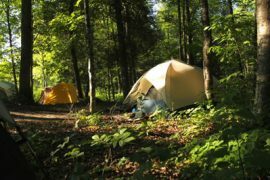 When you arrive to the base camp, we ask you to complete the payment and to fill-up a questionnaire. In order for you to have the best experience you can have, our experienced guides will give you basic whitewater advices and techniques. They will also explain the schedule of the activity with more details. Boat are leaving on the river for the first ride! 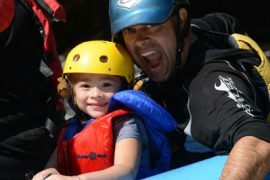 At any moment during the ride, you will be guided by our experienced security who will give you advices and rules to follow. Apart from this, you own your sportyak and are the chief on board. Let’s the fun begin! After almost 3 hours or water plays, time has come for heading back to the base camp! You will then enjoy our facilities (pool, whirlpool, volley-ball ground, bathroom and showers) and have a beer on the terrace, the time we ask you to come in for the video! It is possible for you to eat onsite (lunch and/or diner), you just have to mention it at your arrival. Nous envoyons des rabais exclusifs à nos abonnés infolettre. Voulez-vous la recevoir? Our customers, our passion, our river. 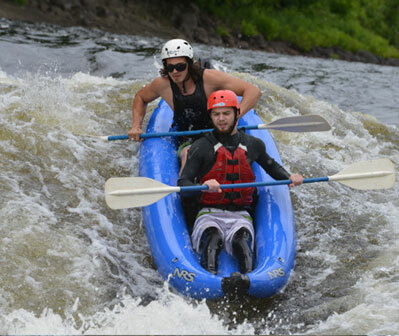 Propulsion Rafting is a small company based right beside the Rouge River in Quebec. 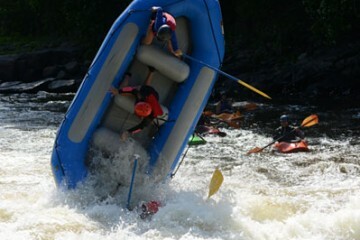 Launched in 1982, we have some of the most experienced guides and we would love to share our passion for rafting and whitewater with you.